10 years ago, on September 15th 2008, the investment banking firm Lehman Brothers collapsed—the first banking company of many that crashed the global economy as never before. 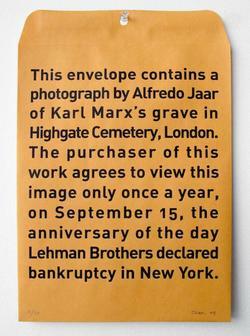 Alfredo Jaar, the Chilean born MacArthur/Guggenheim winning artist commemorated this anniversary with a sly piece of art—a photograph of Karl Marx’s grave at Highgate Cemetery tucked in a plain office envelope, with instructions that the owner of the image may only look at it once a year on September 15th. 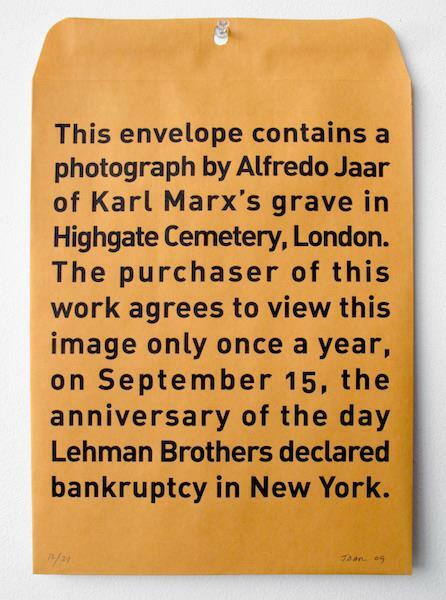 Join us at Verso Books on Saturday, September 15th, for a short book talk by THE FOUR FUTURES author Peter Frase and an art reception at which we will open this mysterious envelope and look upon the photograph of Karl Marx’s grave. 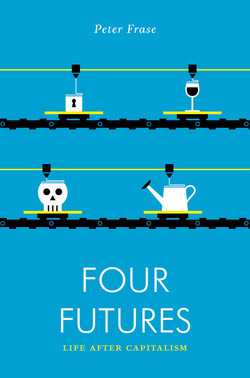 We will consider the effect of the global financial collapse on culture and the arts, as we enjoy a selection of nine artworks that were inspired by a Karl Marx and/or the global financial collapse of 2008, including works by Mel Chin, Kathryn Clark, Rayna Fahey, Ottmar Hörl, Alfredo Jaar, Slinko, Jina Valentine, Kirsty Whitlock, and Imin Yeh. Marx@200 is curated by Susanne Slavick and Kathy M. Newman, and first exhibit at the SPACE gallery in Pittsburgh in the spring of 2018. 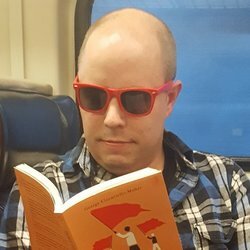 Karl Marx shaped cookies and cocktails will be served!